Drupal Programmer: How to find differences between two docker images or containers. How to find differences between two docker images or containers. Docker comes with a handy command called docker diff which allows you to find differences between the image and the container. So if we make changes inside the container then we can find the difference from the image this is based on using the docker diff command. But sometimes we might have to find differences between two running containers, in order to do this i found this helpful. We can use the docker export command to export the filesystem of the container into a tarball and use our normal diff tools to compare. 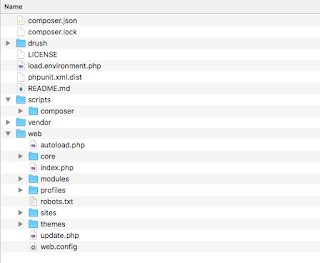 untar the files in separate folders and use an ide like PHPStorm to compare side by side. This does speed things up and you do not need to create containers etc, because docker-diff does that for you implicitly. However i felt it was easier with docker export commands due to large number of changes i was dealing with. Docker diff works both with custom as well as official docker repos.